Tech Tuesday: Do You Speak Tech? Tech Tuesday - Do You Speak Tech? *** Barn doors – So called because they resemble a set of doors on a miniature barn. 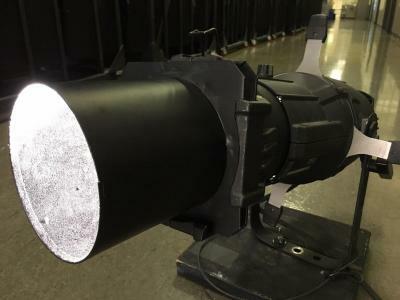 Made from black metal, barn doors attach to the front of Fresnel theatrical lights. 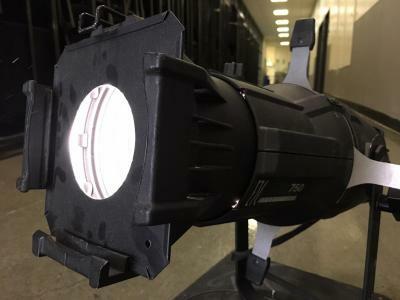 The doors move to help direct and trim the light of the Fresnel, which produces a beam with soft edges. *** Donuts – No, these aren’t yummy sugary confections! Donuts come in basic black---not glazed or chocolate. 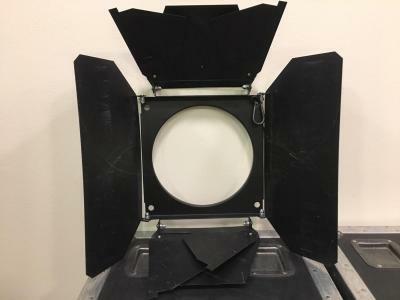 These metal plates are fitted into the front slots of ellipsoidal theatrical lights to help sharpen and define their light beams even more. They’re usually used with patterns (a.k.a. gobos) that project images. *** Top hats – You probably won’t see Fred Astaire wearing any of these gadgets. Shaped liked a top hat, they’re used to control the beam flare of theatrical lights. We’ll continue to explore more of the language of technical theatre in future posts. Author Bio: Donna J. Flor is the Production Manager at the Robert and Margrit Mondavi Center for the Performing Arts, UC Davis. Beginning as a freelance lighting designer, stage manager, and stagehand, she has since worked exclusively in production management of roadhouse theatres for the past 30 years. After assisting with the grand opening of the California Center for the Arts, Escondido, in 1994, she spent 17 years there leading the Technical Production Department. In 2011, Donna helped open the acclaimed Kauffman Center for the Performing Arts in Kansas City. She and her husband Kirk are most proud of Jake, their canine son.